Read the Turning the Tide 2017 Participant Package, register on this website, complete the Consent form, and submit with your $95 registration fee. 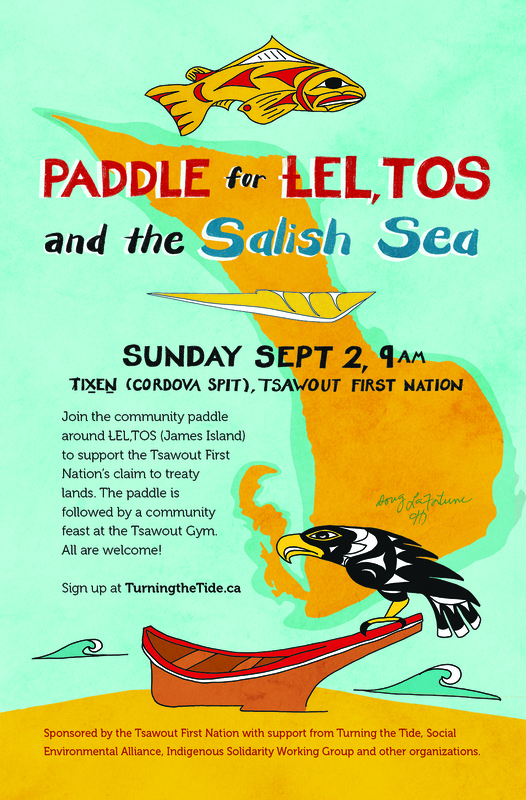 Spots are filling up fast (registration is limited due to the availability of camping spots on Salt Spring and Pender Islands). Your registration fee includes 4 nights of camping and a vegetarian dinner at each of our ports of call! Can I still participate in the paddle this weekend. I can deliver the consent form and reg. fee within the next couple of days. phenomenal event! keep it going! Hi there, my name is Lucas, and I am 10 years old. My Mom, Laura and I, are reading about this event, and would like to participate. Is there an age limit? Please write us back, and confirm that there is still space available.